Russian President Vladimir Putin has ratcheted up the rhetoric in what appears to be one step closer to the potential for direct conflict with The West. While not detailing 'who' he was focued on, amid the obvious Turkey-Russia tensions, Putin told a session of the Defense Ministry's collegium that "I order to act extremely tough. Any targets that threaten Russian forces or our infrastructure on the ground should be immediately destroyed." During the meeting of the most senior defense officials, ITAR TASS reports that Putin also warned against "those who will again try to organize any provocations against our servicemen." "We have already taken additional measures to ensure security of Russian servicemen and air base. It was strengthened by new aviation groups and missile defense systems. Strike aircraft will now carry out operations under cover of fighter jets,"
Putin said that the Russian military have caused a substantial damage to terrorists in Syria, adding that the actions of the Russian Armed Forces are worthy of praise. "The combined operation of the Aerospace Defence Forces and the Navy, the use of newest high precision weapons systems has caused a serious damage to the terrorist infrastructure, thus qualitatively changing the situation in Syria," the president said. The president also ordered the defense ministry to coordinate actions in Syria with Israel’s command post and the US-led international coalition. "It’s important to develop cooperation with all countries really interested in destroying terrorists. I am talking about contacts on ensuring flight safety with the command post of Israel’s air force and forces of the US-led coalition," Putin said. According to the official, terrorists in Syria pose a direct threat to Russia and Moscow’s actions are carried out to protect the country rather than due to abstract interests. "Our soldiers in Syria are, first and foremost, defending their country. Our actions there aren’t motivated by some obscure and abstract geopolitical interests or a desire to train our forces and test new weapons – which is of course an important goal as well. Our main objective is to avert a threat to the Russian Federation,"
As we noted previously, The Kremlin looks prepared not only to stay the course, but to ramp up the deployment. Not only is Moscow hitting terrorist targets with cruise missiles from Russia’s Caspian Fleet, but now, Moscow is shooting at ISIS from a submarine in what can only be described as an effort by Putin to use Syria as a testing ground for Russia’s long dormant military juggernaut (after all, you don’t really need to shoot at a group that doesn’t have an air force or a navy from a sub). On that note, we present the following update graphic prepared by Louis Martin-Vézian of CIGeography as post at The Aviationst. 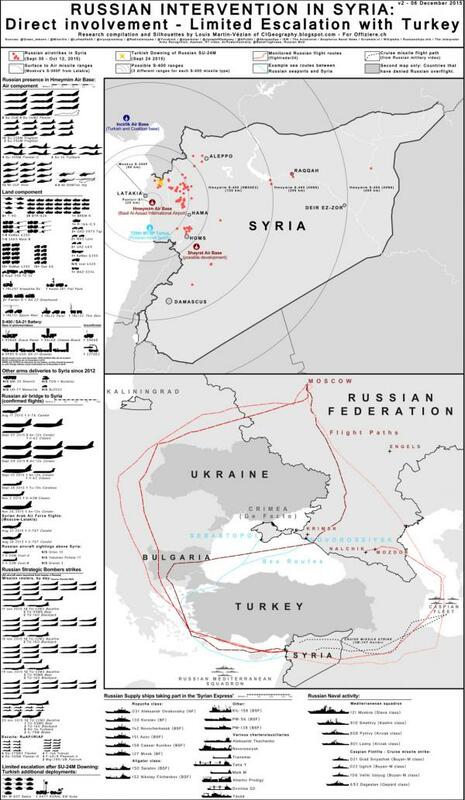 It documents the scope of Russia’s operation in the Mid-East and should give you an idea of just how committed Moscow is to the fight. 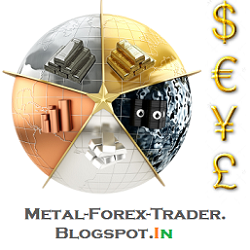 Share Market information from this blog is very valuable and interesting. Chinese commodity demand: Crisis. What crisis? Motto in life. Good Karma.